The liver is one of the most important organs in the human body, and its failure is often fatal. From detoxification to digestion, the liver is one of the most vital organs in the human body. When one's liver starts to fail, overall health deteriorates rapidly. Acute Liver Failure is the advanced stage resulting from other liver complications, generally manifested externally in jaundice, and internally characterized by hepatic encephalopathy and failure of protein synthesis. There are some problems of its exact definition, as its different symptoms occur with significant variance across patients, which remains a chief obstacle to proper diagnoses. Quantitatively, a situation characterized by dysfunction of 80-90% liver cells is considered to be a case of Acute Liver Failure (ALF). Diagnosis of ALF is determined through examining case histories of patients to check instances of changes in their brains, coagulopathy, rapidity of onset, and whether the particular patients had previous history of liver complications. The principal symptoms of ALF include hepatic encephalopathy, which itself may lead to cerebral oedema, which in turn is a major cause of mortality around the world. Hepatic encephalopathy is a situation characterized by increased toxin deposits, like ammonia and serotonin, within the brain. It inhibits neurotransmission and reception, interferes in blood flow, and may lead to major complications of the heart. Hepatic encephalopathy is also difficult to diagnose itself. Generally, doctors try to find increased intracranial pressure to confirm it, however it is not a completely reliable indicator. Another prominent symptom of ALF is coagulopathy. The liver has central role in maintaining the level of coagulates in the body, and a typical case of coagulopathy is demonstrated in a sufferer exhibiting regular occurrences of platelet dysfunction. 50% of ALF patients also report renal failure in the kidneys. 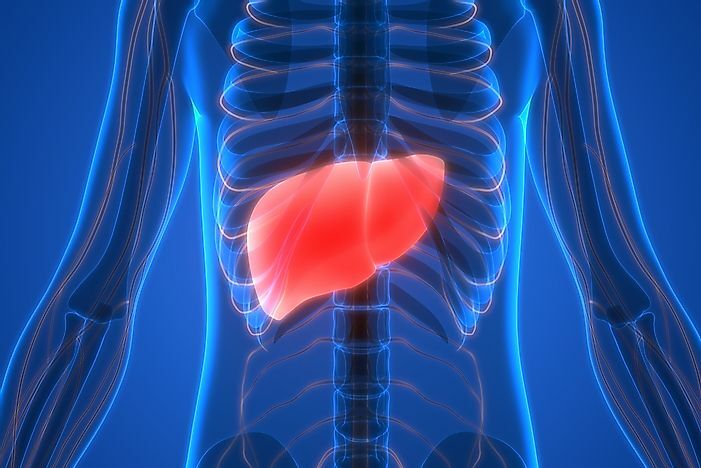 Generally, ALF patients report having increased rates of infection in various parts of the body, which is logical considering the liver's role as a "detox" organ. As urea and blood sugar levels in the blood are often abnormal due to liver impairment, these at times lead to multiple organ failure themselves. Paracetamol overdose and excessive alcohol consumption are the chief causes of ALF. In children, cases of virulent chicken pox can also trigger ALF. Acutely elevated levels of fatty acids in the blood during advanced stages of pregnancy in women may lead to ALF as well. Furthermore, frequency of Aspirin usage has been noted to have significant correlations with ALF. Due to lack of proper diagnostic provisions, previously the different symptoms were targeted separately, with general prophylactic and medicative measures for the liver. Today, the preferred course of treatment is more dramatic, and involves undergoing liver transplant. However, this procedure is very expensive and, as the associated complications increase progressively faster, most of the time it is a race against time. Nonetheless, since liver transplantations as a course of treatment were first innovated, mortality rates from ALF have decreased. Previous mortality rates stood at around 80%, while in cases today where patients receive liver transplants the short-term survival rates have increased dramatically to reach a full 65%.